Actual dinnertime at my house is a moving target. I subscribe to the eat when you’re hungry and eat what you want theory. Today at dinnertime the meal was compliments of Pho Pho Pho Noodle Kitchen & Bar. 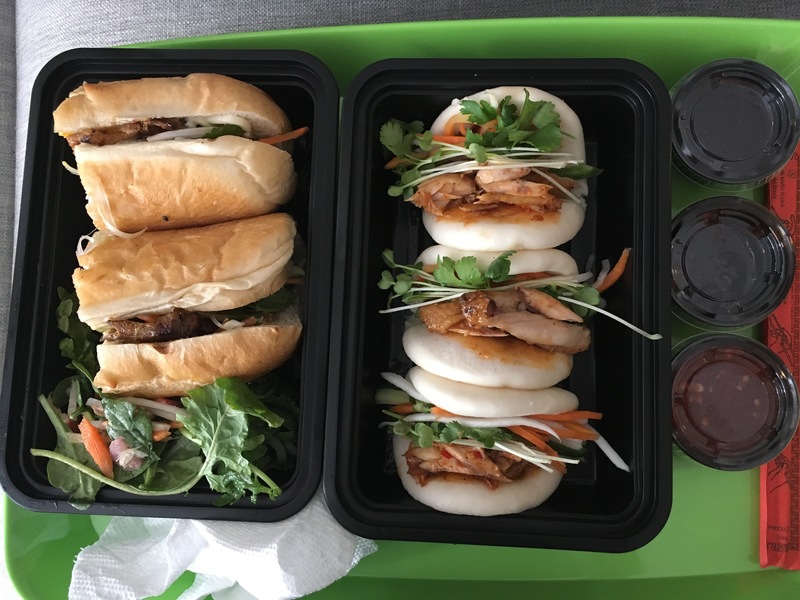 Pork Banh Mi and chicken steamed buns. Not pictured are the honey, lemongrass grilled prawns which pretty much were inhaled too quickly to take a photo. Find out what else happened at dinnertime at The Daily Post.